Today’s challenging and hyper-competitive business environment offers CIOs a unique opportunity to assume an expanded role as a strategic technology expert collaborating with the business toward greater success, more revenue and happier customers. 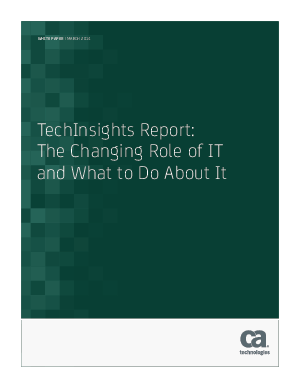 It’s in IT’s hands at the moment, but the window of opportunity is closing as lines of business get tech-savvy, spending more of their budgets on IT projects and re-examining the role that IT plays in advising them. IT can either define a new role for itself which embraces this change, or ignore it and risk becoming increasingly irrelevant to the business.